Sarwan Singh Phillaur, Tourism and Cultural Affairs Minister Punjab has launched a newofficial website aimed at portraying a real picture of Punjab. Speaking on the occasion the Minister said that the website with altogether new features has been designed in an attractive and colorful manner. The videos depicting the vibrant Punjab have also been uploaded besides detailed description of all the tourist destinations in the state. Terming it more of a travelogue, the Minister said that district wise pictorial information describing each district about its historical and religious background together with the accommodations available and tours conducted, cuisine, restaurants and other attractions recommend by Punjab tourism was also attributed in the website. 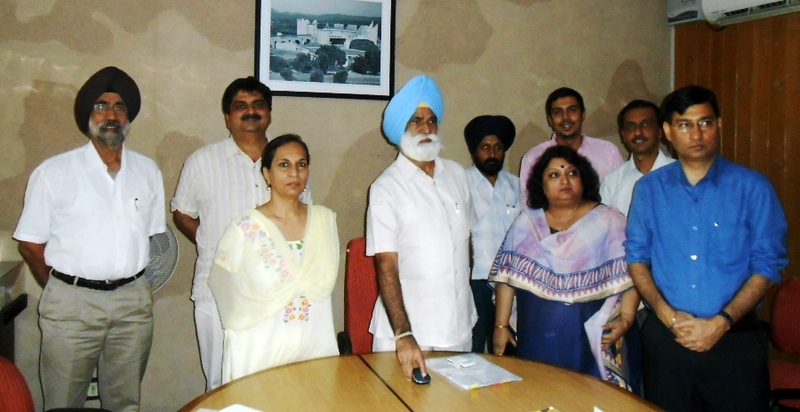 The Minister also asked the officers concerned with the website to keep updating on regular basis to with a view to ensuring the latest information of the users in the field of their interest.The website www.punjabtourism.gov.in is ready for the users.